Lecture almost something like revenge by Isolde Charim, philosopher and publicist. With a large body of work mainly comprising mixed-media paintings, Tamuna Sirbiladze was known for her distinctive style, which continually forged new terms between dichotomous relationships. Abstract and figurative, playful and serious, energetic and quiet, vibrant and muted, Sirbiladze’s work is characterized by both its intensity and flexibility. Known for the speed at which she worked, there is a quality of immediacy in her paintings, as if they provide direct access to her imagination. This primacy is perhaps most evident in her gestural, improvisatory paintings made with oil sticks on unstretched, raw canvas, which purposely retain the appearance of being unfinished. “As an artist,” Sirbiladze writes, “I don’t want to control what the representation will be seen as.” This catalogue presents a careful selection of these oil stick works along with her other paintings—including her celebrated V Collection (2012), which was made in dialogue with iconic works by Caravaggio, Giotto, Raphael, and Velazquez, as well as her later paintings focused on women’s bodies in intimate, underrepresented scenes, Sirbiladze’s response to male dominance in the art world. 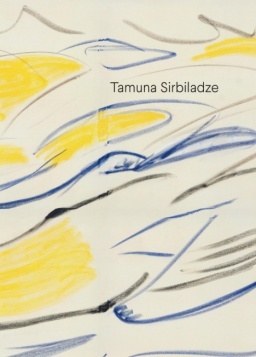 With contributions by Max Henry, Anna Kats, and Julie Ryan, as well as a conversation with the artist and an arrangement of fifteen sonnets by her partner, Benedikt Ledebur, this publication provides a comprehensive survey of Sirbiladze’s works and practice. The exhibition presents the complete 2015–16 series Untitled (Cowboy), recently acquired for the collection and publicly exhibited for the first time. 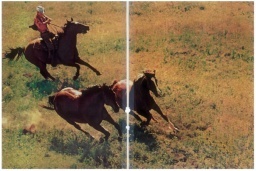 A comprehensive catalogue on the Cowboy paintings will be published for the occasion. Curated by Britt Salvesen, Department Head and Curator of Photography and Prints and Drawings, the exhibition is on view in LACMA’s Broad Contemporary Art Museum (BCAM) from December 3, 2017 to March 25, 2018. An adjacent gallery features selected works from the museum’s collection that also represent the iconography of the American West. 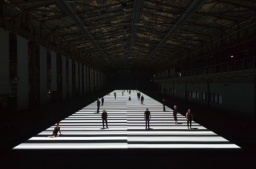 In this exhibition, Ryoji Ikeda and William Forsythe present their artwork simultaneously. These two mesmerizing installations make for a mentally and physically engaging experience. 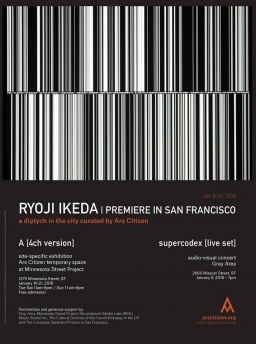 Almine Rech Gallery Paris is opening a solo exhibition of Ryoji Ikeda on November 29th, from 6 to 8 pm. A book signing with Johan Creten and Colin Lemoine will take place on October, 19th from 6 to 7 pm in the RMN Library at the Petit Palais. 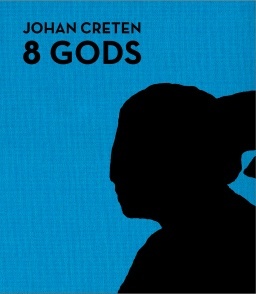 Published in conjunction with the exhibition held in Brussels. Colin Lemoine is an art historian, art critic and exhibition curator. He is head of the sculpture department at the Musée Bourdelle. 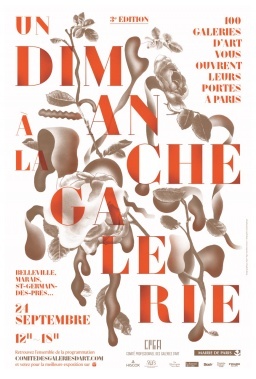 On the occasion of 'Un Dimanche à la Galerie', Almine Rech Gallery Paris will be opened on Sunday, September 24th from 12 to 6 pm. Following his 2014 sold-out run of "superposition" at The Met with a wildly innovative new stage show, "supercodex," a beeping, pulsating, cacophonous mix of techno sound and multimedia art, explores the difference between "data of sound" and "sound of data." supercodex is presented in collaboration with the French Institute Alliance Francaise (FIAF) as part of the opening night of FIAF's Crossing the Line Festival 2017. During these morning sessions from 10 AM to 11 AM, specialists, museum curators and collectors will meet for a discussion forum centered this year on "Les ponts entre les arts". The overarching subject will be the mixing of artistic forms. These discussions will center around the special exhibition in the space by gallerist Javier Peres titled The Lion and the Jewel. His approach counterpoints different time periods, styles, cultures, and techniques, together providing subject matter for the discussions that will be moderated by Elena Martínez-Jacquet, editor-in-chief of Tribal Art magazine. 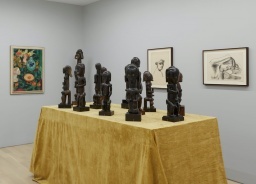 Bernard de Grunne discusses the exhibition Imaginary Ancestors held at the Almine Rech Gallery in New York in May 2017. Villa Croce presents Visible Light / Luce Visibile, the first solo museum exhibition by the American artist Jennifer Guidi. 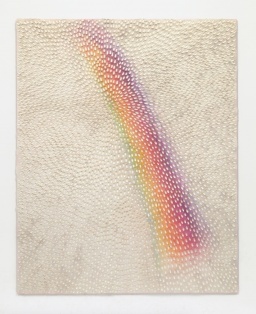 Visible Light / Luce Visibile is a new body of work investigating light, color and energy. The works in the show develop from Jennifer Guidi’s previous explorations of the painting surface and its texture through a personal practice of mark-making, reflecting on concepts of color and its lasting effects on the body and mind. Jennifer Guidi’s large canvases fill the rooms of the villa with saturated colors through abstract compositions that remind us of oriental mandalas and, creating new forms of interaction between each vibrant tone of color and the space it inhabits, these works evoke articulated sensory experiences.